Back in the holidays I took the little man up to town for a general wander and, as is often the way, we ended up in Tate Modern. The Sonia Delaunay exhibition was still on and I thought he'd enjoy that for all the colour and pattern, but I was also keen on seeing the Agnes Martin exhibition (see end of post for image credits). I'm not sure what I expected - I was surprised by the scale of the paintings (they're generally quite large) and the atmosphere they created in the gallery. 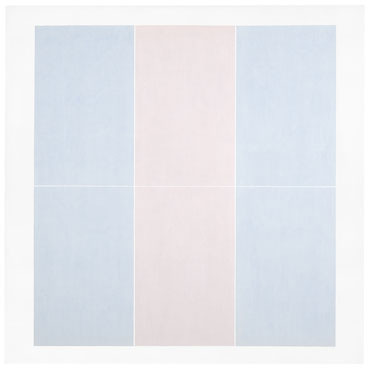 Beautifully calm and mesmerising with their grid lines (pencil on top of the paint) and in beautiful subdued shades. The exhibition was a little on the quiet side but I put this down to the fact that Sonia Delaunay was in it's last week (and was heaving with people). This was different but in my view no less inspiring. I always know that I've really enjoyed an exhibition when I'm desperate to get home and crack the paints out! 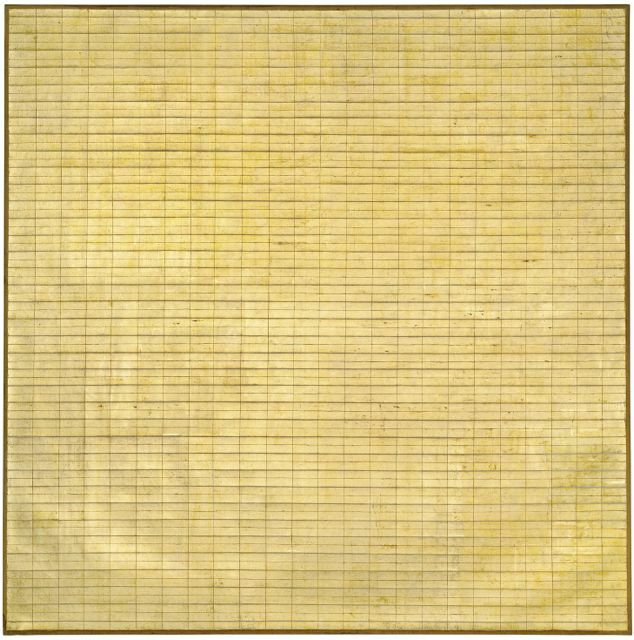 Agnes Martin is at Tate Modern until 11 October 2015.